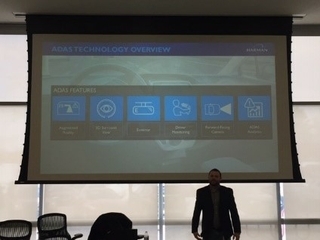 What does the luxury driving experience sound like? On July 11, 2017, the first Audi Summit provided the answer. 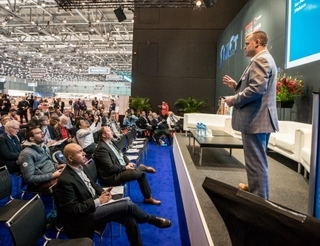 Showcasing pioneering solutions for the urban mobility of tomorrow, the event was the setting for the launch of the brand’s new flagship, the Audi A8, featuring unparalleled luxury acoustics courtesy of Bang & Olufsen. 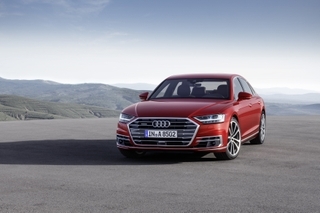 For the first time ever, two sound levels with up to 23 loudspeakers from Bang & Olufsen will be available in the new Audi A8: the 3D Advanced Sound System and the 3D Premium Sound System. 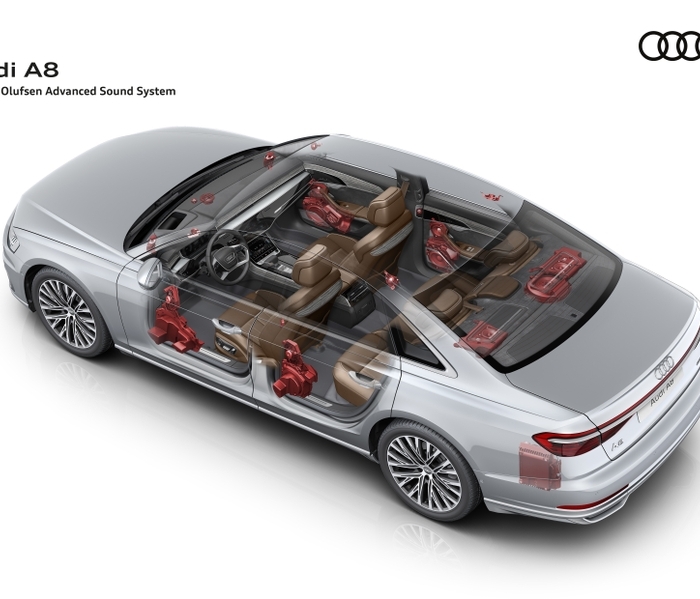 Using a careful analysis built on psycho-acoustic knowledge to create intelligent distribution throughout the car, the system results in a wonderfully realistic three-dimensional listening experience that gives passengers the sense that the car’s cabin has been acoustically enlarged. The Bang & Olufsen 3D Advanced Sound System features Symphoria®, a revolutionary rendering solution for 3D surround reproduction developed by the Fraunhofer Institute for Integrated Circuits IIS, which works side by side with Bang & Olufsen’s multichannel matrix processing and Audi’s unparalleled elegance in a breakthrough collaboration to provide the best of three worlds. And thanks to the extension of 3D sound to the rear seats via two additional satellite speakers in the ceiling, everyone is given a truly elevated listening experience. Regardless of their seat, passengers are treated to a natural, clear sound reproduction independent of source and music genre, creating the impression of a three-dimensional sound stage that increases perception of the height, depth and size of reproduced music. Acoustic lenses placed on the dashboard reduce the need for a central listening location, while improved tweeter drivers lower distortion and enlarged woofers offer greater bass capability. 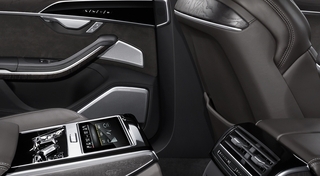 The Bang & Olufsen 3D Advanced Sound System in the Audi A8 also includes a unique “movie” mode that enables passengers to enjoy a cinema-like experience, as well as privacy features such as all door loudspeakers being mounted in closed cabinets to keep sound inside the car. 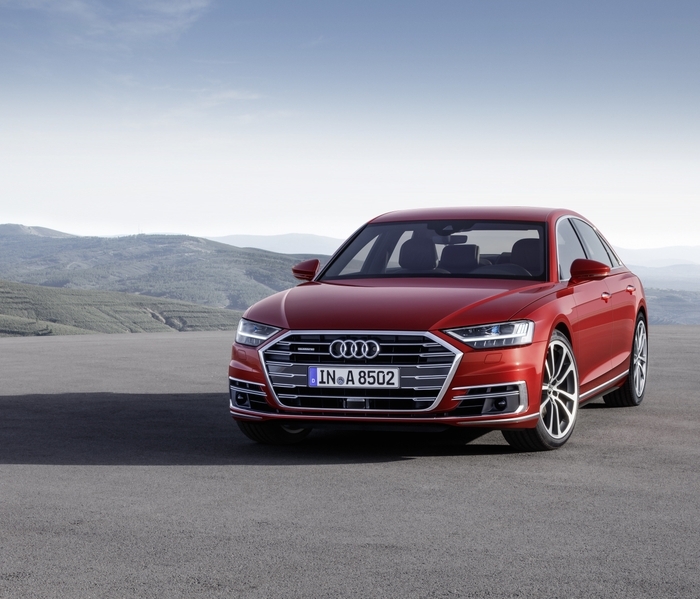 And thanks to its sleek, coherent design, the Audi A8 looks every bit as good as it sounds. 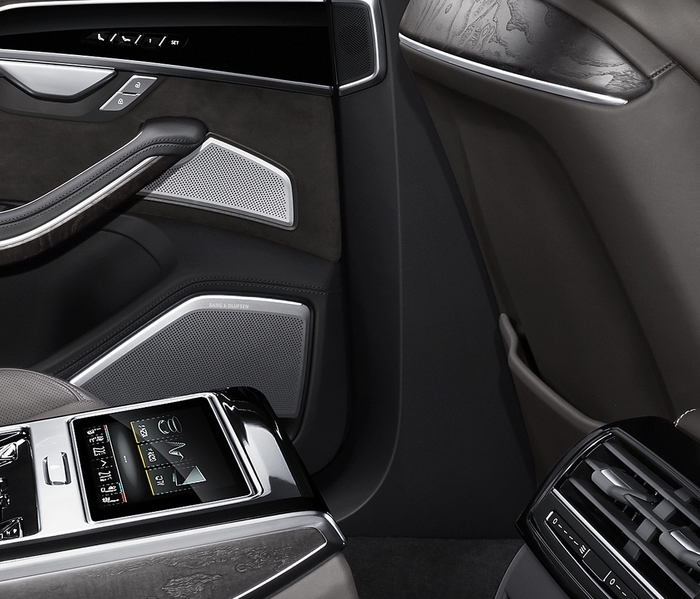 Experience the luxury of uncompromising sound performance in the new Audi A8, available starting in autumn 2017.